While everyone else is hiding from the rain, you're outside enjoying yourself. You're wearing the Mens Jasper Peak Jacket , one of the lightest waterproof hiking jackets in our collection. 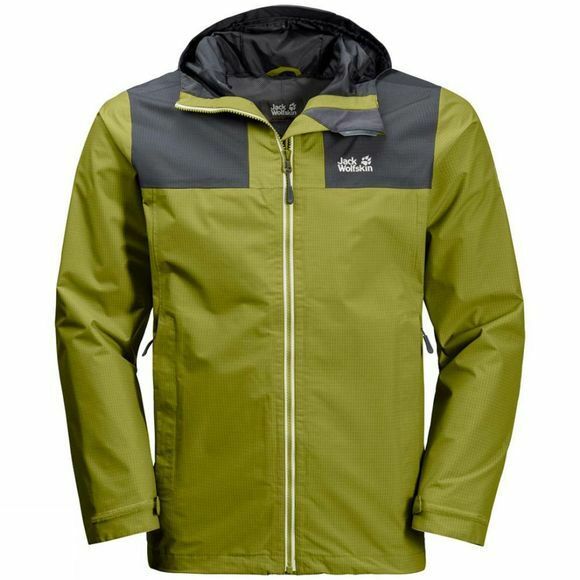 The jacket is very robust and suitable for fun-filled days on the trail or everyday use. It has a simple, unfussy design and delivers full outdoor performance. It is tailored from our tried and tested Texapore Ripstop fabric. The fabric is totally waterproof and wicks perspiration quickly from the inside to the outside, so you'll arrive at your destination feeling dry and comfortable. It protects you from the cold wind and is resistant to wear and tear.